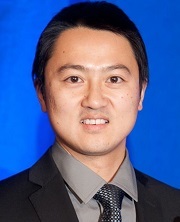 Dr. Zhang was jointly hired as an Assistant Professor in the Department of Pharmaceutical Care & Health System (PCHS) and the Institute for Health Informatics (IHI). He obtained his PhD degree in Health Informatics from University of Minnesota and a master’s degree in both Informatics and Chemistry from University of Iowa. Dr. Zhang has extensive education background and research experience in the field of health and biomedical informatics, especially biomedical natural language processing and text mining. His research interests include the secondly analysis of electronic health record (EHR) data for patient care as well as pharmacovigilance knowledge discovery through mining a large scale of biomedical literature. Dr. Zhang has published over 30 peer-review publications and is the Principal Investigator on a NIH R01 research award entitled “An Informatics Framework for Discovery and Ascertainment of Drug-Supplement Interactions” (2017-2021). He is also the recipient of UMN grant-in-aid award and UMII on the horizon grant. His work has been recognized on a national and international scale including Journal of Biomedical Informatics (JBI) Editor’s Choice (2014), a nomination for Marco Ramoni Distinguished Paper Award for Translational Bioinformatics (2015), and best student papers in American Medical Informatics Association (AMIA) Annual Symposium (2011), MEDINFO (2013), and AMIA Joint Summits (2014). In additional, his work on mining 23 million biomedical publications to discover drug-supplement interactions has been highlighted by The Wall Street Journal and Fox News. This is a center grant to enhance clinical and translational science in UMN. My role is to receive requests for NLP informatics consultation and provide expert consulting to investigators who need to use or whose projects would benefit from biomedical NLP methods. This grant is to develop a translational informatics framework to enable the discovery of DSIs by linking scientific evidence from the biomedical literature and clinical evidence from our EHR system. This grant develops and evaluates visualization methods by “highlighting” important information from clinical texts, improving user interface design for clinical texts, and conducts a prospective clinical trial with a tool in the EHR to highlight new, non-redundant information in clinical documents. The goal is to develop NLP methods to detect and predict NYHA classification from EHR data for patients who had Medtronic CRT implant. The overall goal of this project is to aims to identify actionable genetic variants in ICU patients and evaluate the relationship between genotypes and drug efficacy as well as adverse drug reactions (ADR) in a real-world setting at the bedside. 5. Vasilakes J, Rizvi R, Melton G, Pakhomov S, Zhang R. Evaluating Active Learning Methods for Annotating Semantic Predications Extracted from MEDLINE. Journal of American Medical Informatics Association Open.2018:1(2):275-282. (In Press). 6. Zhang R, Ma S, Shanahan L, Munroe J, Horn S, Speedie S. Discovering and Identifying New York Heart Association Classification from Electronic Health Records. BMC Medical Informatics and Decision Making. 2018, 18 (Suppl 2): 48. 7. Zhang R, Meng J, Lian Q, Chen X, Bauman B, Chu H, Segura B, Roy S. Prescription opioids are associated with higher mortality in patients diagnosed with sepsis: a retrospective cohort study using electronic health records. PLoS ONE. 2018 Jan 2;13(1):e0190362. 8. Fan Y, Zhang R, Using Natural Language Processing Methods to Classify Use Status of Dietary Supplements in Clinical Notes. BMC Medical Informatics and Decision Making, 2018, 18 (Suppl 2): 51. 9. Breitenstein M, Liu H, Maxwell K, Pathak J, Zhang R. Electronic health record phenotypes for precision medicine: perspectives and caveats from treatment of breast cancer at a single institution. Clinical and Translational Science. 2018 Jan;11(1):85-92. 11. Zhang R, Ma S, Shanahan L, Munroe J, Horn S, Speedie S. Automatic Methods to Extract New York Heart Association Classification from Clinical Notes. IEEE International conference on Bioinformatics and Biomedicine. 2017:1277-1280. 12. Fan Y, He L, Zhang R. Evaluating Automatic Methods to Extract Patients’ Supplement Use from Clinical Reports. IEEE International conference on Bioinformatics and Biomedicine. 2017:1239-1242. 13. Jian Z, Guo X, Lou S, Ma H, Zhang S, Zhang R, Lei J. A Cascaded Approach for Chinese Clinical Text De-Identification with Less Annotation Effort. Journal of Biomedical Informatics, 2017; 73: 76-83. 14. Zhang R, Simon G, Yu F. Advancing Alzheimer's Research: A Review of Big Data Promises. International Journal of Medical Informatics. 2017;106:48-56. 15. Sun D, Simon G, Skube S, Blaes A, Melton GB, Zhang R, Causal Phenotyping for Susceptibility to Cardiotoxicity from Antineoplastic Breast Cancer Medications. Proceedings of the American Medical Informatics Association Symposium. 2017:1638-1647. 16. Zhang R, Pakhomov S, Arsoniadis E, Lee T, Wang Y, Melton G. Detecting clinically relevant new information in clinical notes across specialties and settings, BMC Medical Informatics and Decision Making, 2017 (17) Sp 2:68. 17. Fan Y, Adam T, McEwan R, Pakhomov S, Melton G, Zhang R. Detecting Signals of Interactions between Warfarin and Supplements in Electronic Health Records. Stud Health Techno Inform 2017:370-374. 18. Wang Y, Gunashekar R, Adam T, Zhang R. Mining Adverse Events of Dietary Supplements from Product Labels by Topic Modeling. Stud Health Techno Inform 2017:614-618. 19. Sun D, Sarda G, Skube S, Blaes A, Khairat S, Melton G, Zhang R. Phenotyping and Visualizing Infustion-related Reactions for Breast Cancer Patients. Stud Health Techno Inform 2017:599-603. 21. Fan Y*, He L, Zhang R. Classification of Status for Supplement Use in Clinical Notes. Proceedings of the IEEE International conference on Bioinformatics and Biomedicine. 2016: 1054-61. 22. Marc D*, Beattie J, Herasevich, V, Gatewood, L, Zhang R. Assessing Metadata Quality of a Federally Sponsored Health Data Repository. Proceedings of the American Medical Informatics Association Symposium. 2016; 2016: 864–73. 23. Wang Y*, Adam TJ, Zhang R. Term Coverage of Dietary Supplements Ingredients in Product Labels. Proceedings of the American Medical Informatics Association Symposium. 2016: 2053-2061. 24. Zhang R. Healthcare Data Analytics. Chandan K. Reddy and Charu C. Aggarwal. Boca Raton, FL: Chapman & Hall/CRC Press (2015) 724 pp. Journal of Biomedical Informatics. 2015;58:166-7. 25. Zhang R, Manohar N, Arsoniadis E, Wang Y, Adam T, Pakhomov S, Melton GB. Evaluating Term Coverage of Herbal and Dietary Supplements in Electronic Health Records. Proceedings of the American Medical Informatics Association Symposium. 2015:1361-70. 26. Manohar N*, Adam TJ, Pakhomov SV, Melton GB, Zhang R. Evaluation of Herbal and Dietary Supplement Resource Term Coverage. Stud Health Technol Inform 2015;216:785-9. 27. Marc D*, Zhang R, Beattie J, Gatewood LC, Khairat S. Indexing Publicly Available Health Data with Medical Subject Headings (MeSH): An Evaluation of Term Coverage. Stud Health Technol Inform 2015;216:529-33. 28. Zhang R, Adam T, Simon G, Cairelli M, Rindflesch T, Pakhomov S, Melton GB. Mining Biomedical Literature to Explore Interactions between Cancer Drugs and Dietary Supplements. AMIA Joint Summits on Translational Science. 2015:69-73. (Distinguished Paper Award Nominee). 29. Zhang R, Pakhomov S, Janet T Lee Melton GB. Using language models to identify relevant new information in inpatient clinical note. Proceedings of the American Medical Informatics Association Symposium. 2014:1268-76. 30. Zhang R, Cairelli M, Fiszman M, Kilicoglu H, Rindflesch TC, Pakhomov S, Melton GB. Exploiting Literature-derived knowledge and semantics to identify potential prostate cancer drugs. Cancer Informatics. 2014;13(S1):103-11. 33. Zhang R, Pakhomov S, Gladding S, Aylward M, Borman-Shoap E, Melton GB. Automated assessment of medical training evaluation text. Proceedings of the American Medical Informatics Association Symposium. 2012: 1459-1468. 34. Zhang R, Pakhomov S, Melton GB. Automated identification of relevant new information in clinical narrative. Proceedings of the 2nd ACM SIGHIT International Health Informatics (IHI?12) Symposium. 2012: 837-841. 35. Farri O, Rahman A, Monsen KA, Zhang R, Pakhomov S, Pieczkiewicz DS, Speedie SM, Melton GB. Impact of a prototype visualization tool for new information in EHR clinical documents. Applied Clinical Informatics. 2012; 3(4): 404-418.